Park Forest, IL–(ENEWSPF)– Editor’s Note: This is the first article featuring news from police reports. Besides covering the many stories from around Park Forest that otherwise might go unnoticed, we want to bring more complete coverage of police reports than is reported by other local media. It was not simply a matter of showing up at the police station and asking to see reports. We worked for several months at eNews to establish this publication as a fully credentialed news source. 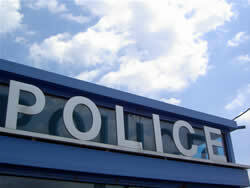 The police were very accommodating the first time went to the station to read reports. Two file folders were presented to our reporters, each one filled with reports of police calls. Officers were nearby ready to answer any questions our reporters had regarding specific calls. The following is the start of our reporting. A car was reported stolen December 19 near the 100 block of Nashua. The victim reported that unknown person(s) entered the north side door of the residence and took car keys that were located on the table and stole the car. An officer was dispatched on December 26 to the 40 block of Woodland Glen to investigate a report of domestic battery that occurred in the 100 block of Woodland Glen. Police responded December 27 to the 200 block of Allegheny to investigate a report of a domestic dispute. A police officer was dispatched December 31 to the 400 block of Titonka to investigate a missing juvenile. A police officer was dispatched to the 200 block of Allegheny to investigate a possible burglary. Thederis Williams, 2 Apache St., Park Forest, 48, was allegedly found inside the residence laying on the floor with a blue winter jacket and a can of beer at his side. Williams was arrested and charged with criminal trespass to residence and criminal damage to property. A car was reported stolen on January 1, 2007, near the 100 block of Park. The victim noticed the vehicle was missing at 11 a.m.
Brandon Vigo, 89 Hemlock St., Park Forest, age 19, was arrested January 1 at the 3400 block of Western Ave. and charged with resisting a police officer. Police were called to the scene to investigate a citizen’s report of glass breaking and possible criminal damage to property. Two juveniles were pulled over at Western Ave. and Hemlock St. on January 1. The driver was arrested and charged with zero tolerance, exceeding the posted speed limit, improper lane usage, no valid driver’s license, and operation of an uninsured motor vehicle. The passenger was arrested and charged with underage consumption of alcohol. Police responded Jan. 2 to a retail theft in progress at CVS Pharmacy. Jeremy Adams, 89 Hemlock St., Park Forest, age 17, and Bryan Vigo, 2823 W. Warren, Chicago, IL, age 19, were arrested and charged with retail theft. Police were dispatched January 3 to the 200 block of 26th St. to investigate a defacement of property complaint. A police officer was dispatched January 3 to the 3200 block of S. Western Ave. to investigate delayed criminal damage to property relating to a damaged window.